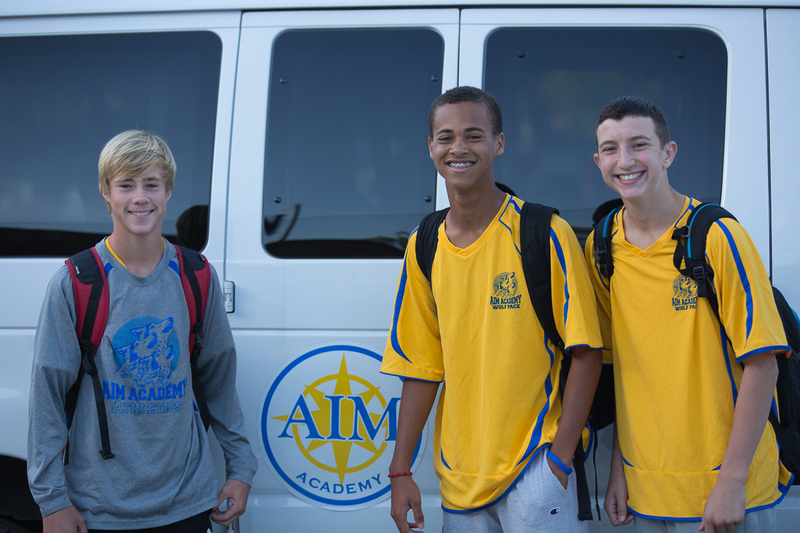 AIM Academy is conveniently located 11 miles from downtown Philadelphia, 7 miles from Ambler/Fort Washington and 5 miles from Villanova and the Main Line. Route 476 “the Blue Route”/Northeast extension is easily accessed from Conshohocken as well as the Pennsylvania Turnpike and Route 76/Schuylkill Expressway. Our central location attracts families from far and wide throughout the greater Philadelphia area, including New Jersey. Currently, 82 ZIP codes and 41 school districts are represented by the student body at AIM. For the 2018-2019 school year, AIM Academy will partner exclusively with Kevin Smith Transportation Group to provides van service from Bryn Mawr, Bucks County (New- Based on Demand), Center City, Cherry Hill, Newtown Square, Paoli and West Chester for an additional fee. AIM provides licensed, insured and cleared drivers for the AIM vans. For more information regarding AIM’s van service, please contact us at transportation@aimpa.org. The following public school districts provide free transportation for students residing within their district to AIM Academy. Please contact the transportation department of your local school district for details. SEPTA Manayunk/Norristown stops at the Miquon Station which is located immediately in front of our River Park 2 school campus.